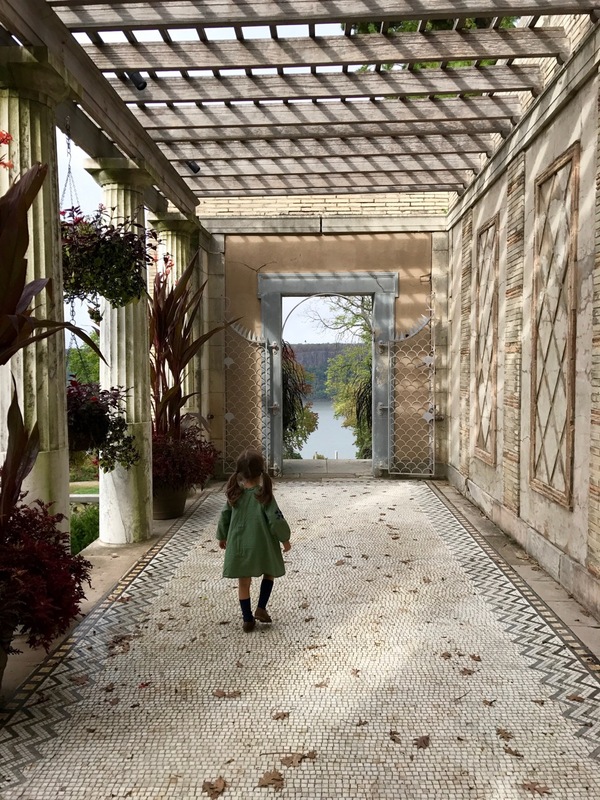 It’s no secret that as a family we like spending time in parks, gardens, and green spaces – it helps to balance out our city living, I suppose – and I’ve written about some of our favorite places previously in posts about Wave Hill, Brooklyn Botanic Garden, and Storm King Art Center. 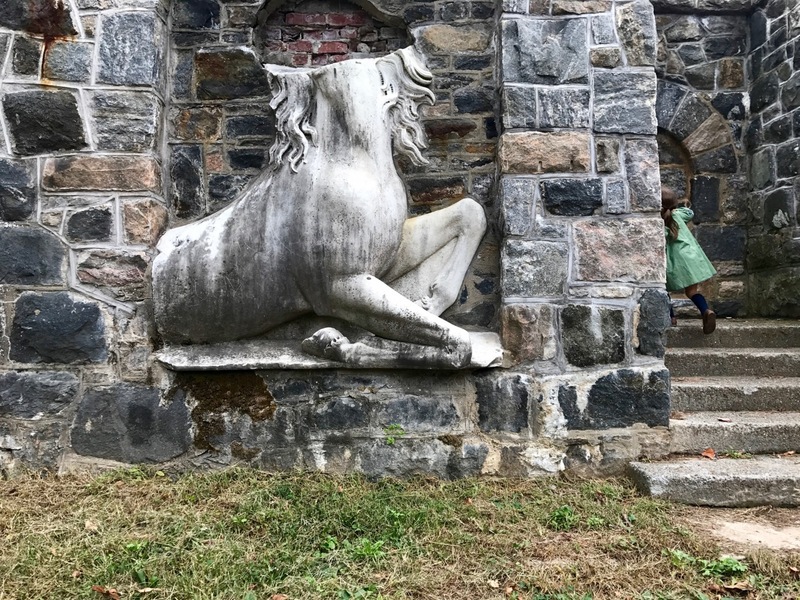 We recently made a repeat visit to another park that’s been on my mind since we first visited three years ago – a mysterious place with the crumbling ruins of a once-grand estate and gardens, all perched high above the Hudson River. 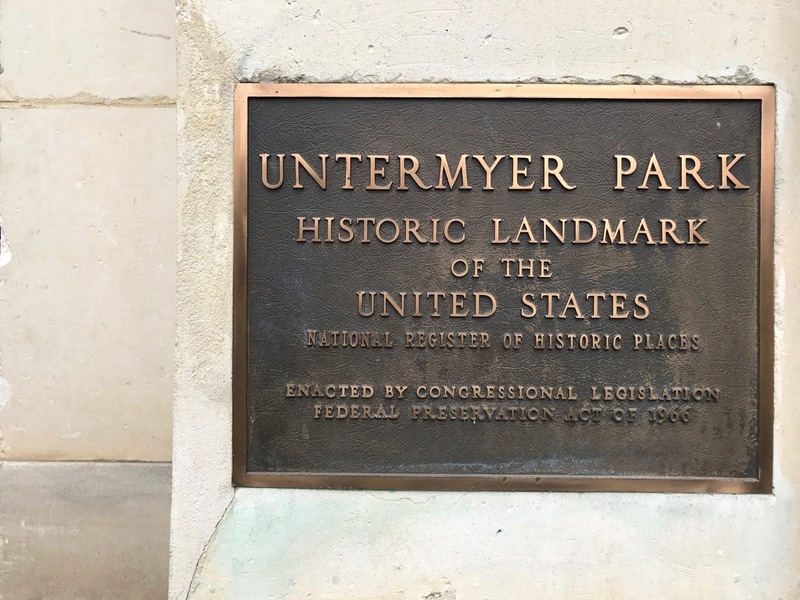 Located just north of New York City, Untermyer Park and Gardens in Yonkers, New York occupies part of the site of an estate know as Greystone, which entered long period of decline after its last owners donated it to the City of Yonkers as a public park more than 70 years ago. The mansion was demolished in 1948, and vegetation overtook some of the remaining structures, with vandals breaking and defacing others. 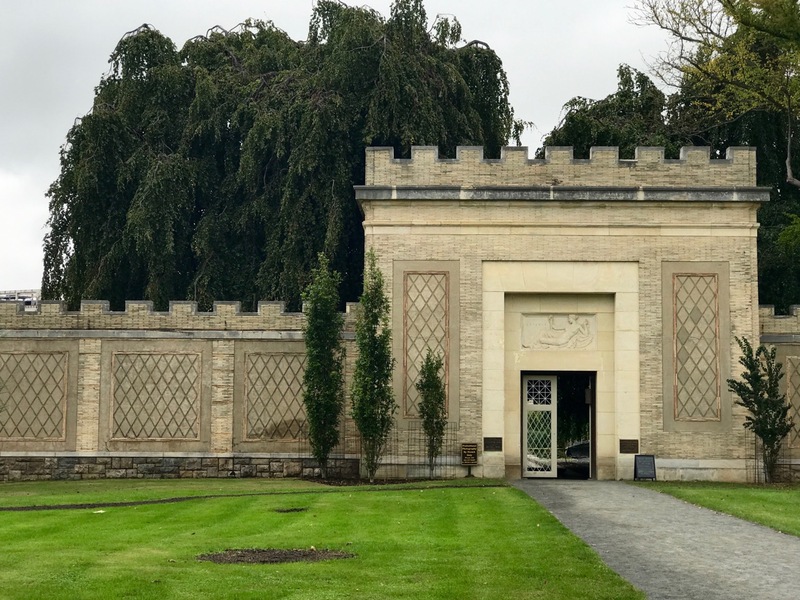 What’s left of the estate and gardens today is a mere shadow of what once existed, but those remaining elements are fascinating to explore and happily strides are being made to restore portions of the garden to their former splendor. 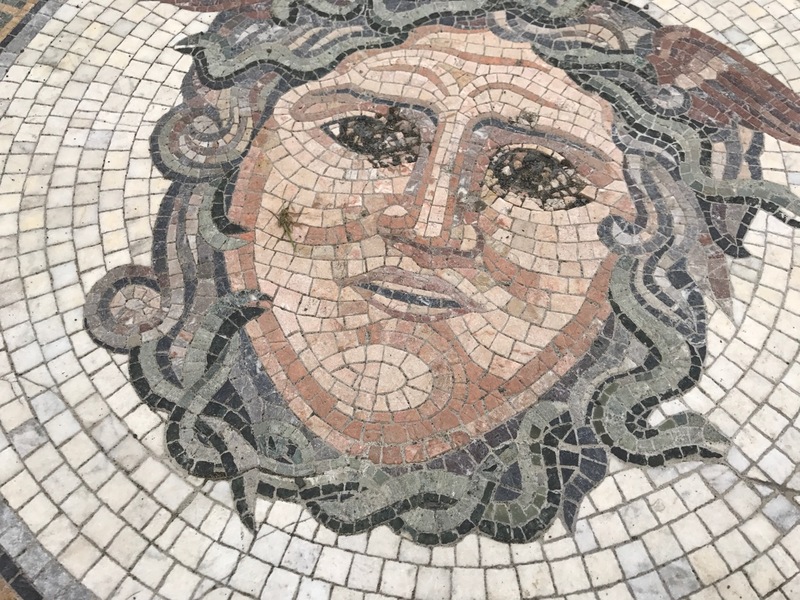 Even though the restoration effort is ongoing, the park and gardens in their current state offer a compelling glimpse into the past and a lovely place to spend a morning or afternoon. 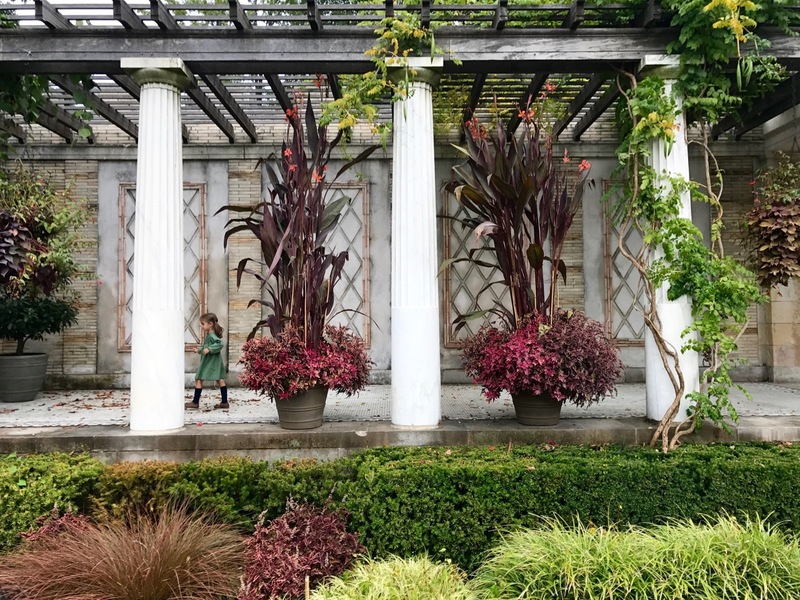 When we first visited the park and gardens, my daughter was still a tiny baby tucked into a carrier. 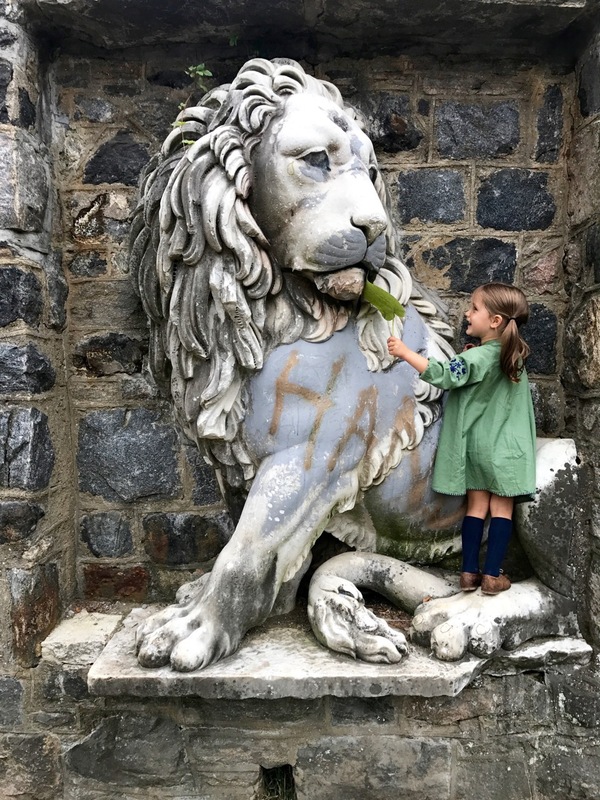 We spent a golden fall afternoon wandering through the walled garden and exploring the the trails through the surrounding woods, captivated by the feeling that we had stumbled upon a secret hidden place whose ruins were a portal of sorts to a bygone era. 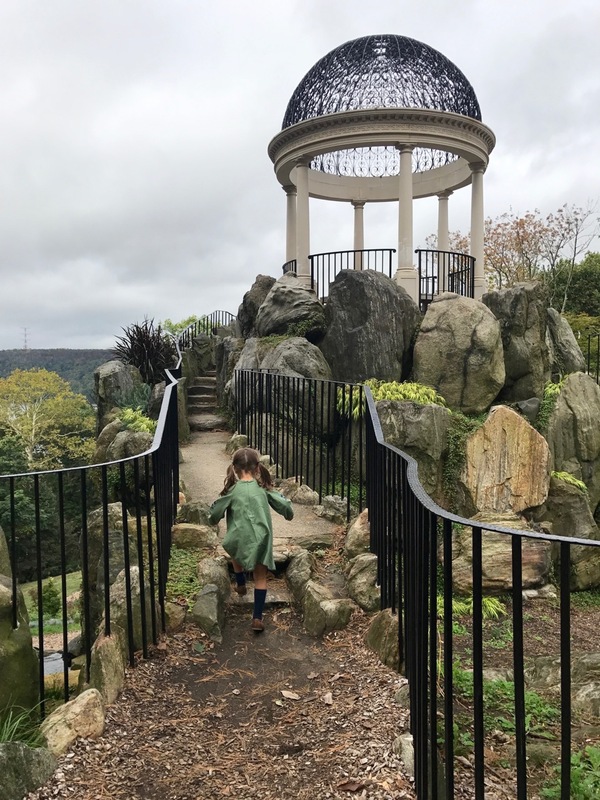 We watched as older children raced through the woods and up and down the stone steps of the Temple of Love, one of the Garden’s centerpieces, remarking that this would be a completely magical place to play and let your imagination run wild. 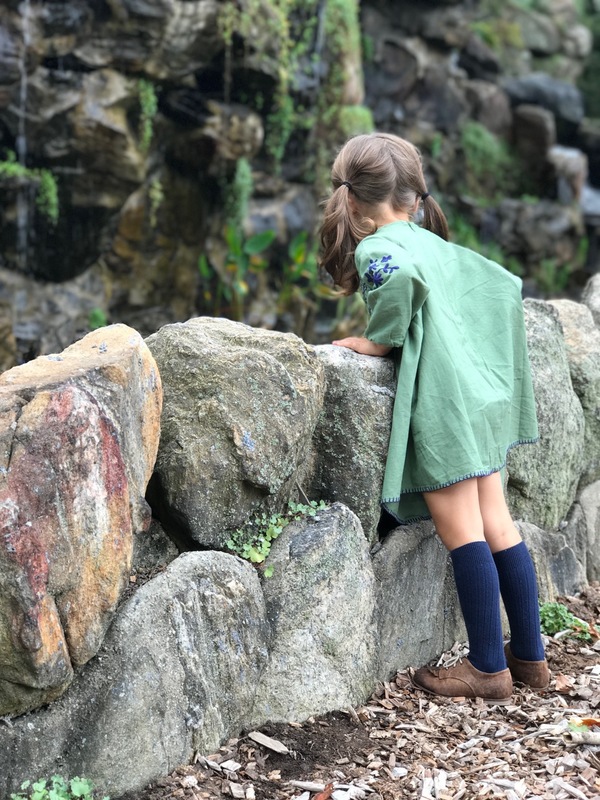 Returning this fall, my daughter delighted in the freedom of discovering a new place. 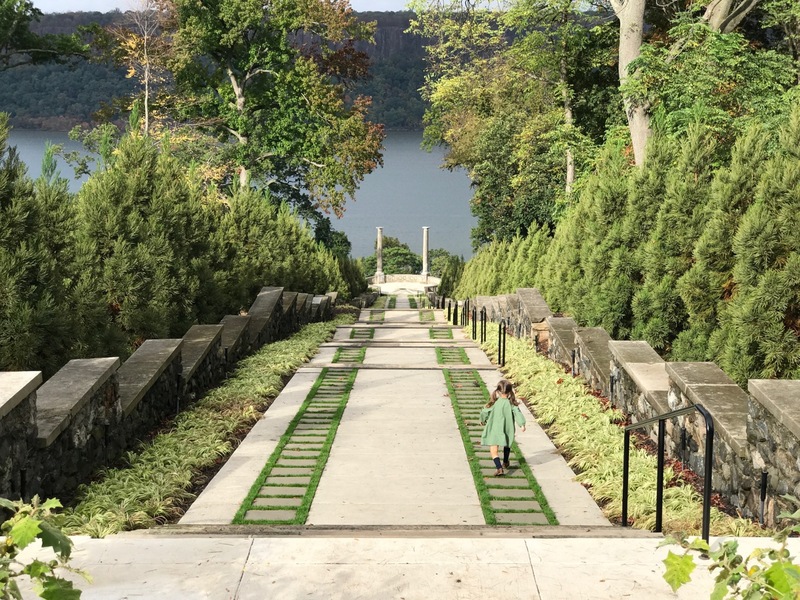 She raced along the paths and walkways in the Walled Garden, down the stone steps of the Vista toward the commanding view out over the Hudson River, and through the woods on the trail that leads to the old Gatehouse, near the bottom of the property as it slopes toward the river. 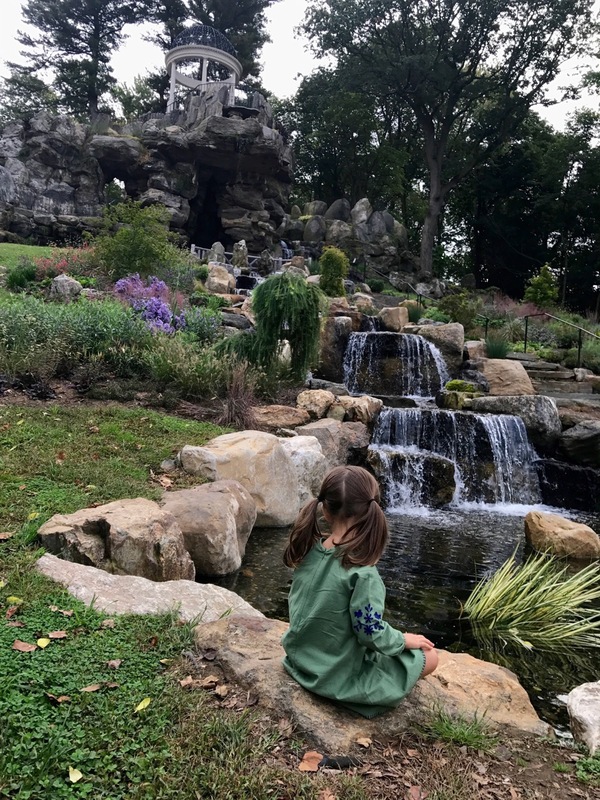 We were pleased to see the restoration efforts on the Temple of Love including reintroducing the water element that had once been there, with water cascading down the rocks under the round temple and continuing down the hill to pools below. We collected beautiful fall leaves and sticks as we wandered, filled a bit with a sense of nostalgia for what once must have been. 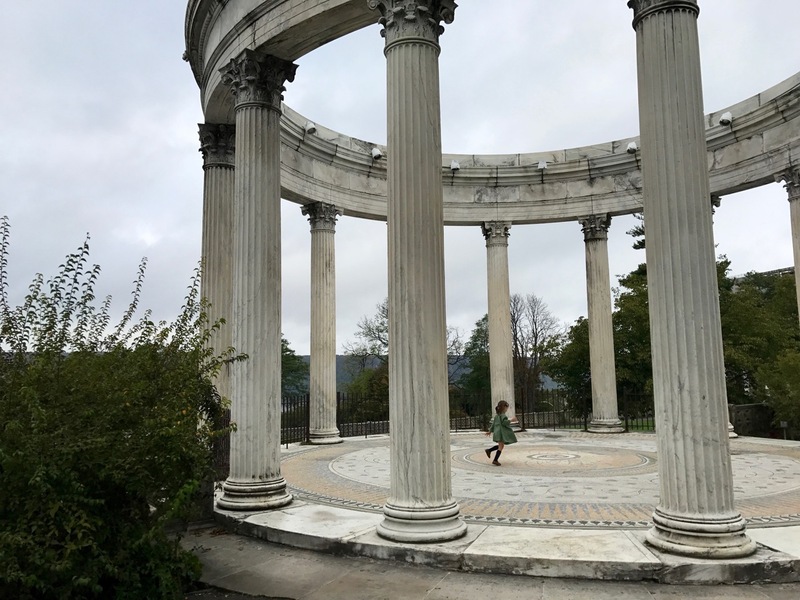 Public tours are given by docents on Sundays for much of the year, but part of the charm of a place like Untermyer Park and Gardens, especially when visiting with children, is the ability to structure your visit exactly as you wish, leaving yourself open to following their direction, and sharing their excitement as they explore on their own terms. 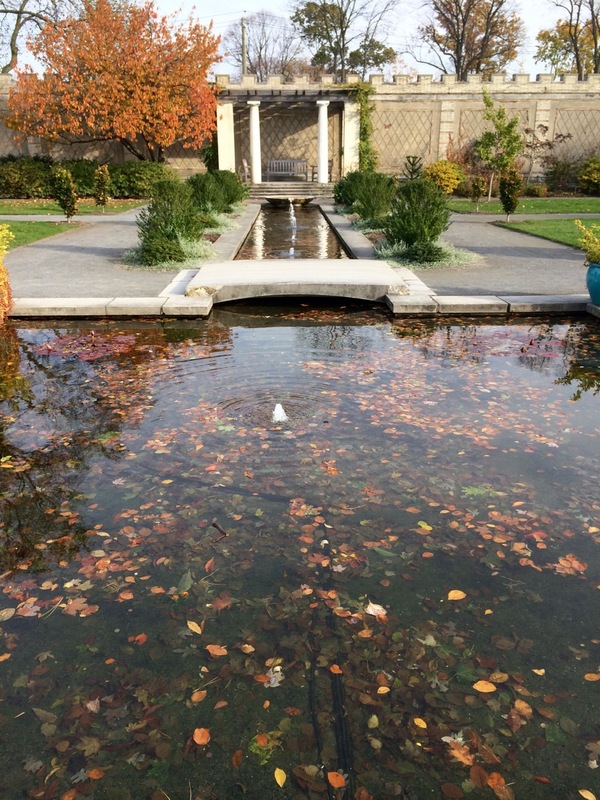 The park and gardens are open from 7am to sunset, 7 days a week. 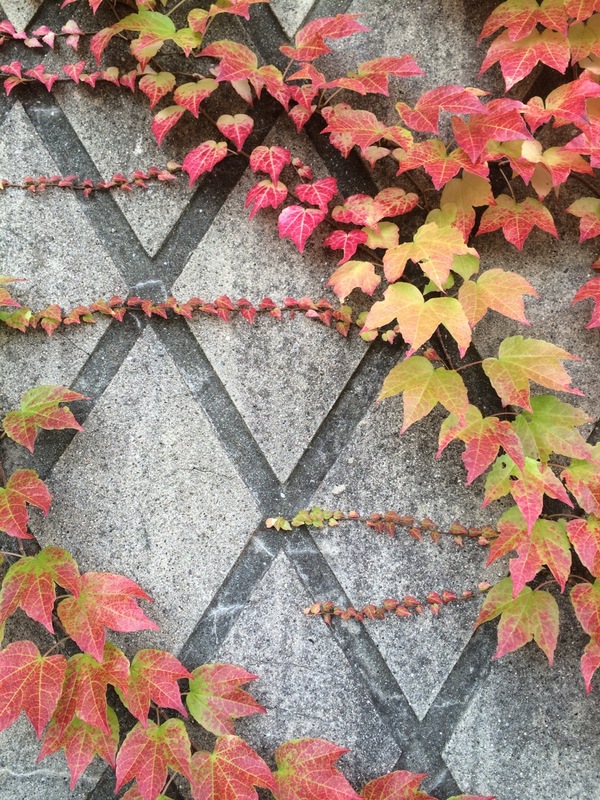 The walled garden is closed on major holidays from November – March. 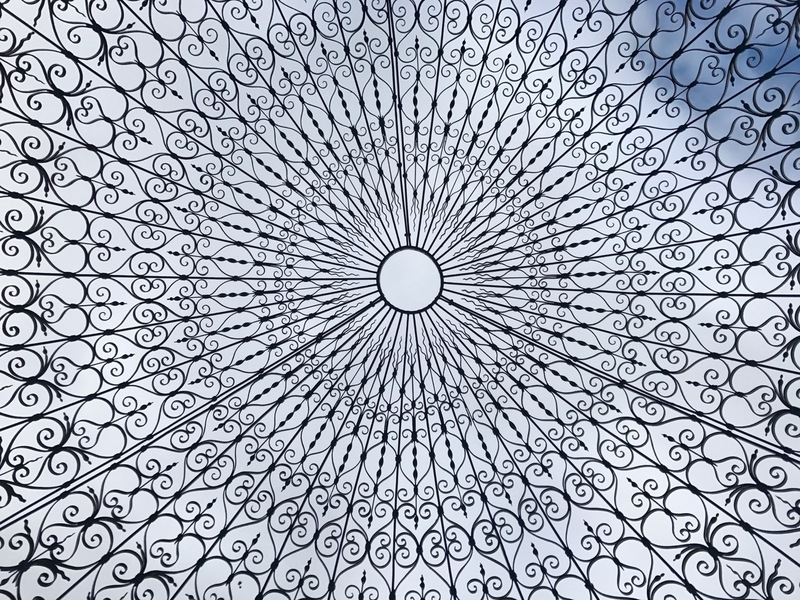 Entrance to the park and gardens is free. 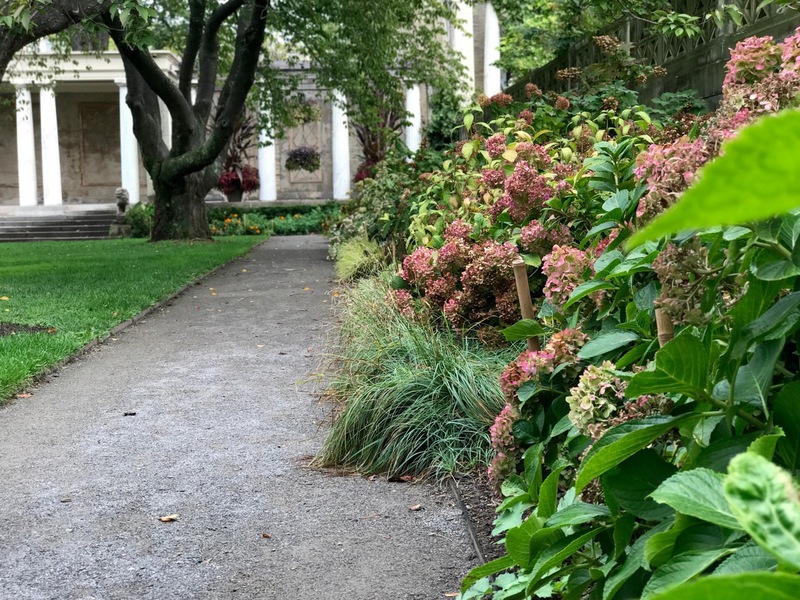 The fee for guided tours when offered is $10 per person ($20 per person for special guided tours given by the president of the Untermyer Gardens Conservancy once per month). 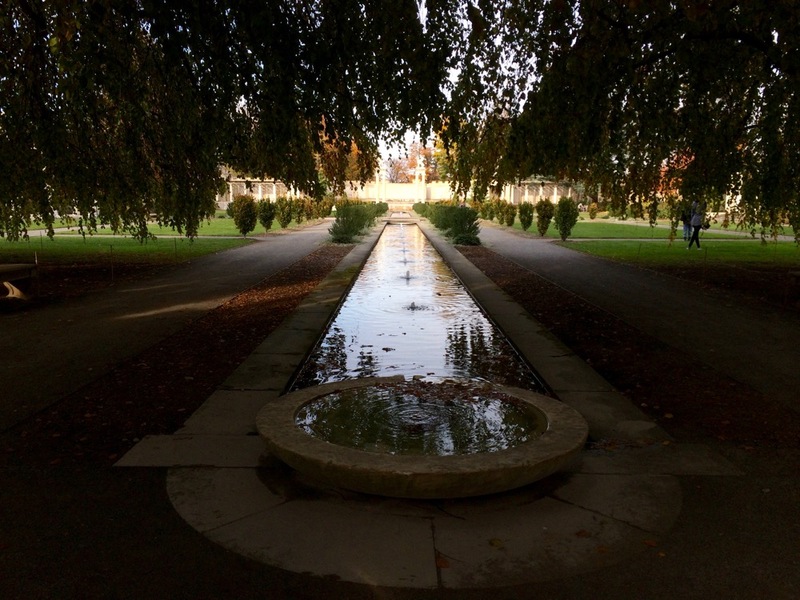 Restrooms are available at the community center just outside the gates of the walled garden. There is parking on site next to the adjacent community center for those who drive. Various public transit options (scroll down) are also available. Picnicking and blankets are allowed in designated areas.